A leopard print is one of the most popular prints among fashionistas around the world, but, of course, it’s one of the most eye-catching ones, so you should be careful making new outfits with such printed pieces of clothes. 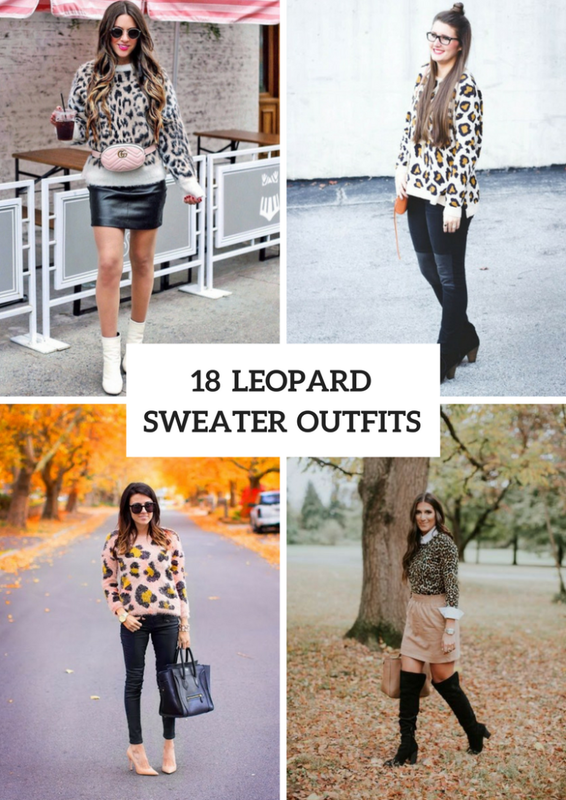 Today I offer you to pay an attention to leopard printed sweaters, that look good for any styled outfits from sporty to casual, from event to relaxed ones. Now you can scroll down, cause we have prepared for you interesting ideas. Get inspired! 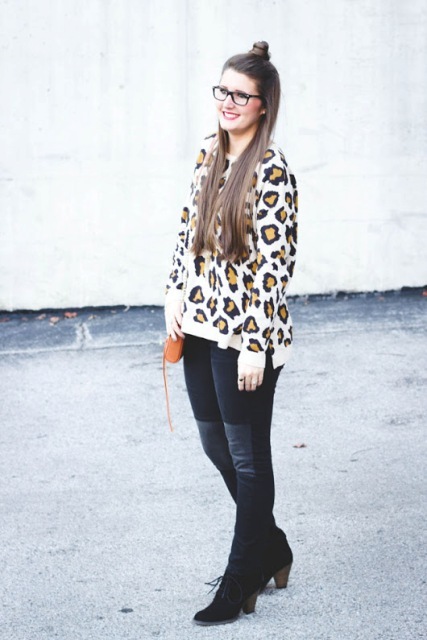 I’m sure you know that leopard printed items look perfect with basic colored clothes, shoes and accessories. So you can mix a leopard loose sweater with black skinny pants, a black leather tote, oversized sunglasses and beige leather pumps. Or you can try to repeat a combination with a white shirt, a leopard oversized sweater, black crop trousers, a small bag and black flat shoes. If you are looking for ideas for colder days, then pair a such sweater with a pale pink mini coat, distressed jeans, sunglasses, a beige leather chain strap bag and high heels. If you’re ready for bold combinations, then you can take a leopard sweater and pair it with a red A-line midi skirt, an elegant black mini clutch and black embellished high heels. Or you can choose a black skater mini skirt and mix it with a leopard sweater, a black hat, a white or gray fringe bag and black leather ankle boots. One more ideas is to pair a sweater with a black leather mini skirt, white ankle boots, rounded sunglasses and a pale pink waist bag. 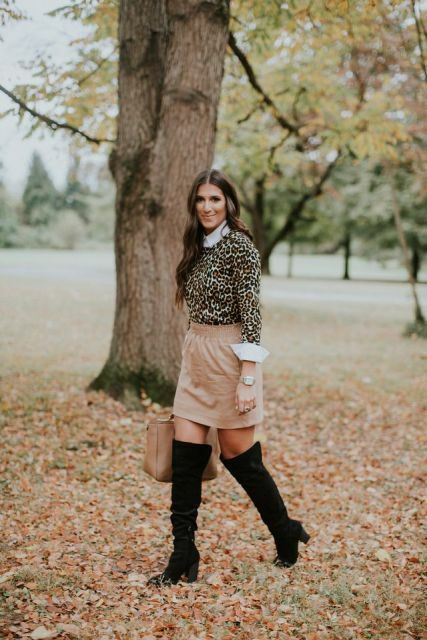 For a more official outfit (but, of course, if you haven’t a strict dress code) you can combine a light blue button down shirt with a leopard sweater, a purple pencil skirt, black pumps and a brown leather tote.